The Basic Skills & Knowledge Exam is now available. AND three of the Focus Area Exams are also now available: Bankruptcy; Family Law; and Estates and Probate. These are linked to the Member's Area page. Please contact us - staff@faldp.org - if you have forgotten your password. Please keep track of your CEUs. We are tracking them as well, but please do not rely on us alone to track them. If you are unsure about your completed CEUs please contact us to request our count. Remember there are many no cost/ low cost ways you can complete your Continuing Education Units, including: attending webinars; answering site questions; community outreach; attending conferences; and helping us by volunteering on various committees. All of our courses each have a CEU value attached. This includes the free to member courses within the Members Only area. With regret, we found we had to opt out of the speaking engagement for the Florida Prosperity Partnership in June. Unfortunately, there are too many business obligations that conflict during that time frame. FALDP Member, Belinda Haynes, of Empire Financial Services is scheduled to speak about financial business planning at that event, and we look forward to a full recap from her. Our FALDP Document Portal website is almost ready for release. So far we have completed an automated forms set for Dissolution of Marriage with No Children and No Property; and an automated form set for Petition to Determine Paternity and Related Relief. The user fills in a one or two page questionnaire and the information fills to the full document set. We are now testing the form set for Dissolution of Marriage with Children. Once the latter is tested, we will invite document preparers to subscribe. The monthly subscription rate has not yet been set, but we believe it will be less than $50 per month, unlimited use for FALDP members. Saving you time ... so you can better serve your customers. Supreme Court Justice Antonin Scalia died suddenly on February 13, 2016. In a 2009 interview he said:“We don’t sit here to make the law, to decide who ought to win. We decide who wins under the law that the people have adopted. And very often, if you’re a good judge, you don’t really like the result you’re reaching.” Justice Antonin Scalia, whose transformative legal theories, vivid writing and outsize personality made him a leader of a conservative intellectual renaissance in his three decades on the Supreme Court. Scalia served on the Court for nearly thirty years, during which time he established a consistently conservative voting record and ideology,advocating textualism in statutory interpretation and originalism in constitutional interpretation. He was a strong defender of the powers of the executive branch, believing presidential power should be paramount in many areas. He opposed affirmative action and other policies that treated minorities as special groups. He filed separate opinions in many cases and often castigated the Court's majority in his minority opinions with scathing language. 1. You don't struggle to stay disciplined; you struggle to find enough hours in the day to do all the things you want to do. Staying on task is not a problem, prioritizing is. Your problem is you have so many things you want to do, you struggle to decide what to do first. 2. You enjoy your time at work. You don't have to put in time at work and then escape to "life" to be happy. You enjoy life and enjoy work. You feel alive and joyful not just at home but also at work. When you love your work, it's a part of your life. 3. You don't think about business survival. You think about achieving your business goals. You don't worry much about your business failing. You're more worried about serving all the people that ask for your help. Those are good worries. 4. You're excited about what you're doing, but you're more excited about seeing your customers succeed. Your customers' successes are their own reward. Seeing your customers' increasing self-empowerment, in turn empowers you. 5. Your business is a business you would want your children to run. There may be aspects of your business you wouldn't wish on your worst enemy, much less your kids: insufferable customers, difficult working conditions, uncertain long-term prospects. If you would say to your child, "No, I would never want you to have to deal with that," why would you allow yourself to continue to deal with that? Meticulous - Committed to meeting the important needs in peoples' lives. Ruthlessly pragmatic - Making consumers' lives easier by always being available where and when people need it. Pervasively innovative - Continuously looking for new and creative ways to engage with consumers and address unmet needs. Distinctively inspired - Forging emotional connections with consumers, earning their trust and existing to fulfill a larger purpose. Get excited about all the possibilities ahead — We can’t control the future but we have the ability to shape it with a focused vision and hard work. We need help. Members who volunteer time will be rewarded with CEUs. We especially need people who work well with others as a group, and are also able to take action independently. Membership Committee - We need help recruiting new members, and also vetting prospective members. The recruiting part consists of locating LDPs who are not members, and collecting their contact information. We will then reach out to them and invite them to submit an application. In addition we have our Member's Circle program in place in which current members can refer LDPs for membership and receive rewards if they join. When a prospective member submits an application we go through a vetting process. Depending on the application, we explore any possible red flags that might mean we need to deny membership. Ambassador Committee - I apologize for dropping the ball on the Ambassador Program. Some Ambassadors have run with the concept by independently reaching out to the community. Others need a group to work with, and some guidance from within the membership. I would like to see someone step forward and take charge of the Ambassador Program. I think the concept is sound, however, I have not been able to carve out the time to properly implement the program. Hispanic Outreach - Ketty Rodriguez is in charge of this program, but she may need some help to make it grow. We have a few Spanish pages on our site, and we need more translated. I know some members have offered to do so, and I have not had the time to address exactly which pages should be translated to Spanish. We also want to build a Spanish speaker's member directory. We already have a Spanish contact form, and a dedicated phone number for Spanish consumers that rings to Ketty. Ketty then refers the consumer to a member who can assist. Besides identifying all members who are Spanish speakers, we want to identify within that group who is also a notary, and court interpreter. UPL Committee - This committee is to help educate members about what they should and should not do to avoid unfounded accusations of unauthorized practice of law. We are not the UPL police, we leave that to the Florida Bar. The purpose of this committee is to prevent members from the accusation and to assist and advise members who are investigated. The advice committee members can provide is not legal advice, it is purely practical advice. Proper Display of our FALDP logo. Please do not state that you are "certified" through FALDP - no one is certified yet. It is perfectly fine to caption the logo with a Member Since year. If your membership lapses or you decide to drop your membership, please remove our logo immediately from all of your advertising. The main purpose of the certification process is to elevate the standards in our industry. We hope to encourage greater credibility for our members. FALDP members having chosen to be members and also becoming certified as legal document preparers will show the world that each of you is serious about your profession and invested in doing the best possible job for your customers. Above average proficiency in written and spoken English. Members may demonstrate their knowledge and mastery of the information and skills by passing a written test; passing an oral test; and submitting written essay(s). Members can demonstrate mastery and knowledge of a focus area by passing a written test. Related outreach and educational participation within FALDP for the benefit of other members, which could include course creation; translations; and other activities which a member may propose. There is no cost to FALDP Certification at this time. Exams are free and online.The Basic Skills & Knowledge Exam; and three of the Focus Area Exams are now available. The remaining three Focus Area Exams will be available before the end of February. Exams will be available through May 15, 2016. Join our Member's Search Team by helping us recruit document preparers to our association. The Members' Circle Program is a rewards and recruiting program combined. Current members are invited to recruit document preparers to join us. For this effort you will be rewarded in two ways. First, for each new member you recruit, you'll receive one Continuing Education Unit (CEU) to be applied towards your certification. Second, when you recruit three members your next membership fee will be waived. 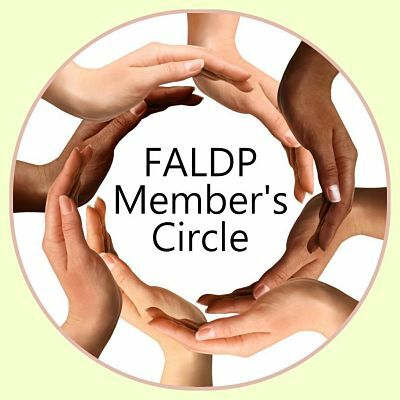 At FALDP we strive to create a culture of collaboration and continually try to impress upon all of our members that we are all part of something much larger than ourselves. The demand for our services consistently out strips the supply. Many consumers still don't know that they can proceed pro se. And many other consumers don't know that we are a small army of document preparers ready and willing to help. Our strength is in numbers. By educating consumers about their right to access the legal system and by preparing documents for them to do so - we are, putting a ding in the universe. The Virtual Provider designation is an upgrade to your membership. For just $30 annually your information and services can be displayed in 66 of the 67 Florida counties. We exclude Miami-Dade because of their local form requirement, and the difficulty in serving consumers virtually there. If your business model includes assisting consumers over the phone and over the internet, advertising your services as a virtual provider will expand your reach and increase your income. Become a Virtual Provider here.